Who Gave Chalabi Top-Secret Info? FBI agents are questioning Defense Department officials in an effort to find out who told Iraqi leader Ahmad Chalabi that the U.S. had cracked secret codes used by Iran. CBS News has learned that Chalabi recently told an Iranian intelligence official that the U.S. had cracked the codes, allowing the U.S. to read communications on everything from Iran's sponsorship of terrorists to its covert operations inside Iraq. Chalabi has denied passing any classified information to Iran, and Chalabi supporters have asserted that the CIA is out to destroy the former exile. 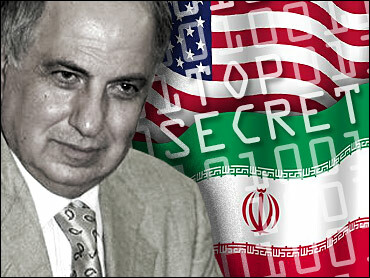 In Najaf, Iraq, Chalabi said Wednesday it was "false" and "stupid" to assert he had tipped Iran to the code break. "Where would I get this from?" he asked. "I have no such information. How would I know anything about that? That's stupid from every aspect." Chalabli was once touted as a strong candidate to lead postwar Iraq by some White House and Pentagon officials, but he has suffered a rapid fall from the grace, in no small measure because the U.S. learned he was giving secret information to Iran. On May 20, Iraqi police backed by American soldiers raided Chalabi's Baghdad home and offices. Chalabi is a controversial figure who provided the Bush administration with prewar intelligence on supposed weapons of mass destruction in Iraq -- including the now-discredited information about mobile weapons labs. After the raid on his home and offices, 60 Minutes Correspondent Lesley Stahl reported that the U.S. had evidence Chalabi has been passing highly classified U.S. intelligence to Iran. The New York Times, citing U.S. intelligence officials, said the U.S. learned of Chalabi's activities when an Iranian intelligence agent in Baghdad sent a coded message to Tehran reporting that Chalabi had told him the U.S. had broken the codes. According to the message, which was read by the U.S., Chalabi claimed to have gotten the information from an unnamed American who was drunk, the Times said. Chalabi is still active and visible on the scene in Iraq where he is a member of the Iraqi Governing Council. Over the Memorial Day weekend, Chalabi was reportedly involved in negotiations to maintain a faltering ceasefire in the city of Kufa between U.S. military and radical Shiite cleric Muqtada al-Sadr. Chalabi and other Shiite leaders met with al-Sadr representatives and declared there was "a momentum for peace."